Nyco Cling-On Phosphoric Acid Porcelain Cleaner is a thickened 20% phosphoric acid based cleaner with a strong cherry almond scent. Formula clings to vertical surfaces to increase cleaning contact time. Ideal for use in hard water areas where hydrochloric acid cleaners are not desired. Will not harm brass or chrome fixtures. Leaves area smelling clean and fresh. Ideal for use in hard water areas, or other areas where lime scale, calcium salts and other deposits exist. Easily and quickly removes uric acid salts and other sources of bothersome odors. Detergents and other wetting agents are especially effective on soap scum, dirt and light oils found on sinks, and around bathroom fixtures. Extremely effective on a variety of surfaces and soils. Use where hydrochloric acid formulations can not be used. Remove as much water from bowl as possible. Apply to inside of bowl and clean with swab / bowl brush until surfaces are clean or destained. Clean area under flush rim. For heavy stains, allow solution to remain on surface longer, or repeat steps above. Flush/rinse when finished. Pour 2-3 ounces of product into urinal, or on a wet swab / bowl brush in the urinal. Swab urinal. Flush to rinse. Repeat steps above if stubborn stains persist. Customers who were interested in the Nyco Cling-On Phosphoric Acid Porcelain Cleaner - 12 Quarts were also interested in the following items. 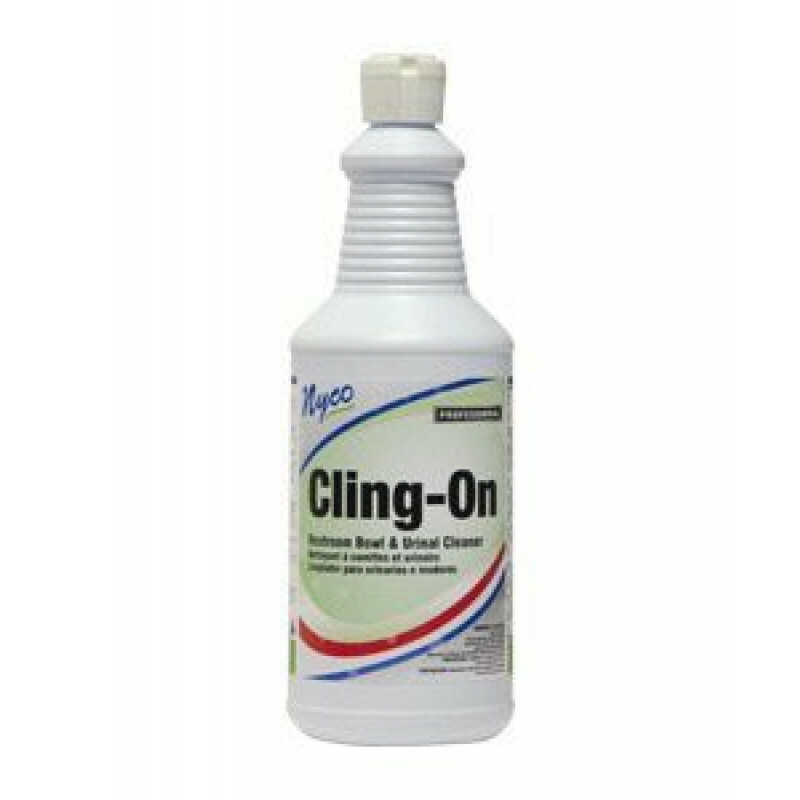 This is a review for the Nyco Cling-On Phosphoric Acid Porcelain Cleaner - 12 Quarts.